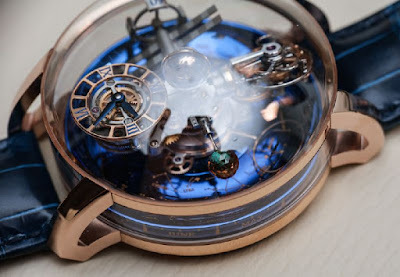 Jacob & Co, which has the potential to cause the watch industry to have never seen the amazing history of the complications (think epic SF24, Quentin Tourbillon and the magnificent flying tourbillon jumps and Minute Repeater III), in the astronomical triaxial The gravity tourbillon, introduced in 2014, is a game changer. Not only is it a unique complication, it is a stunningly beautiful watch. This year, the Jacobs Group has fully joined the world premiere of astronomical complications to take gravitational astronomy to the triple biaxial tourbillon to another level. 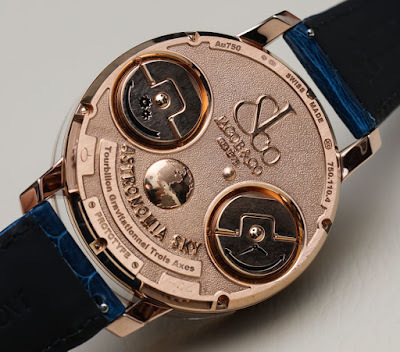 The new Sky Astronomy introduces a three-dimensional star display, a unique day / night indication, orbital second hand, a gravity tri-axial tourbillon – and a spherical orange sapphire moon. The above celestial dial is an oval sky index, which shows the parts of the stars visible from the northern hemisphere (do not worry, Jacobs and the company will make a show in the Southern Hemisphere sky). The indicator makes a full circle on a stellar day (23.5640916 hours). Visible through the case of sapphire openings, 12 months is displayed in the side of the star dial. The calendar hand indicates the current date. 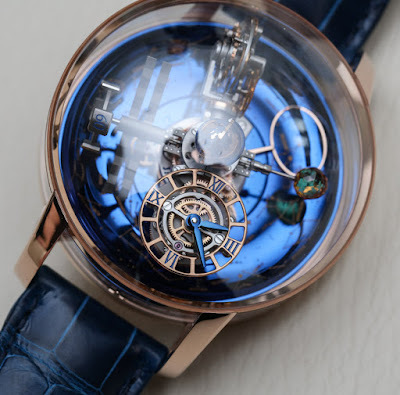 At the center of the satellite’s axis, the hand-carved titanium of the paint rotates inside the colored semi-hemispherical sapphire crystal, symbolizing day and night. The full rotation of the earth a 24-hour day thanks to the differential system appears. On another satellite is the time (hours and minutes) dial. Since a clever differential gear system, the time display is always in the correct position, in other words, always at 12! 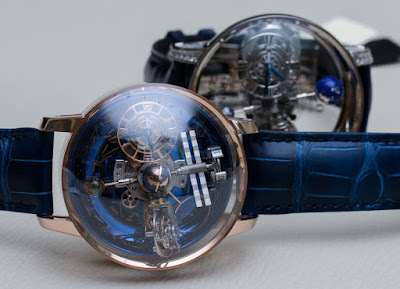 The third satellite is the orbital second hand, the open working titanium wheel with a second hand that rotates in 60 seconds, and it also winds around the dial for 20 minutes each time. In the fourth and final satellite is “Jacob cut the red moon”, the spherical orange sapphire has 288 faces. This gem cutting, the first of its kind in the modern jewelry industry, revolves every 60 seconds on the shaft and turns the dial every 20 minutes.